Paul Gershlick explores the new healthcare environment in the UK and shares the themes discussed at a recent seminar on this topic. In the UK, there is no bigger political hot potato than the National Health Service – the national treasure celebrated in the Opening Ceremony at the 2012 Olympic Games. Labour often accuses the Conservatives of not being trusted with the institution that the post-war Labour Government set up for the good of all; the Conservatives always strive to prove they really care about it. The political arguments are often simplistic. But the one over-riding truism is that all politicians care about the health of their nation, because all voters care about their own health and wellbeing. The challenge is this: as the population grows ever older and there are more expensive treatments, and people’s demands increase for the latest treatment for all conditions, there is a growing need for efficiencies. And that is even before we remember that we are living in an austere environment. The mantra at the moment and for a long time to come is “more for less”. The UK’s Coalition Government set about to change things with the Health and Social Care Act 2012. The Act came into force on 1 April 2013, with over 200 Clinical Commissioning Groups replacing the Primary Care Trusts, plus several other changes to the bodies within the NHS. Putting the political points scoring to one side, how does this impact on clinicians and patients? Matthew Arnold & Baldwin LLP – in conjunction with the Hertfordshire Local Enterprise Partnership, Watford Council, Watford Chamber of Commerce, Sigma Pharmaceuticals and the IPF – put on a seminar this summer to help industry and academia understand the new environment. What does it mean? What are the challenges? And where are the opportunities? The speakers from two of the new CCGs, one from a new Health and Wellbeing Board and another from one of the 15 newly accredited Academic Health Science Networks (linking industry and academia with the NHS to encourage the uptake of innovation) gave very clear messages with clear themes. One thing is for sure – the world has certainly changed. Rod While, a strategist at Luton CCG, agreed. He added that suppliers should align themselves with buyers’ needs. They should provide evidence of how they can meet the unmet needs. Ultimately, it is about solving big problems. Developing partnerships with other organisations would be the key to success. 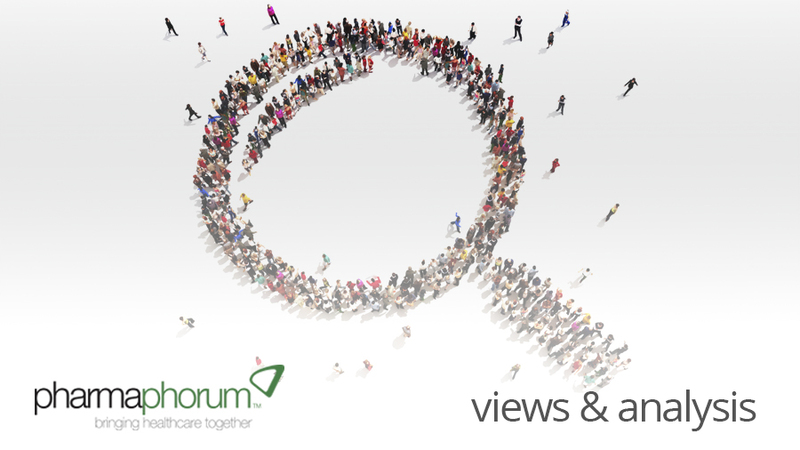 How can people work together to improve overall patient outcomes? Always think about the overall pathways, and provide evidence. The voice of the patient was critical in patient care. If you think that providing joined-up cures is the answer, that’s only one part of the picture. Perhaps the biggest shift in focus is the move towards prevention rather than cure. Graham Jones, of the West Berkshire Health and Wellbeing Board, emphasised this. If CCGs have replaced Primary Care Trusts as the procurement of treatment solutions, but in a more joined-up way, then the new theme in the new NHS is trying to prevent it from happening. Tackling social care and improving people’s lifestyles can not only make people feel better; it can actually affect their health. Taking the examples of smoking, diabetes and obesity, there are lifestyle changes that can be made with habit, exercise and better nutrition. This can prevent so many secondary problems. Rather than deal with the problems when they turn into serious issues, the new environment means dealing with problems at their source. Once again, as with the CCGs, the message from Graham Jones was that people need to deal in a more collaborative way and avoid working in silos, particularly as resources are further stretched. And how could a lot of this happen? Through innovation. Through the uptake of innovation. Through the NHS working collaboratively itself both with industry and academia. The vehicle to do this? The 15 new Academic Health Science Networks. We are in the early days of this new environment. What we heard from the influential new players in the new system suggested that there are strong clear themes here. Instead of management-led, think clinically led; GPs instead of bureaucracy; national focus has become local focus; and target focused is now replaced by patient outcomes. If it means that more patients will be treated nearer to home or at a more convenient time than through old structures with old processes, so be it. It does not mean privatising the NHS but being smarter and more efficient. When people think about supplying individual solutions, they forget about the holistic effect on the overall patient outcome. They will not be able to do that anymore. The opportunities are there for suppliers or joint ventures that actually make a difference, and ultimately deliver far better overall outcomes for patients beyond one single treatment. And the new NHS is even more interested in hearing how the patient’s ultimate costly problem can be nipped in the bud and avoided altogether. We are talking here about the NHS changes. But this seems to be a sensible framework for other healthcare systems. Pay less and get more by working collaboratively to see a better overall patient outcome, which may involve preventing the need for a more costly treatment later. How can we work in a more collaborative way?